PULL is a magazine about armwrestling for armwrestlers. Our mission at PULL is to provide global coverage of armwrestling which is not limited to any one country, club or federation. 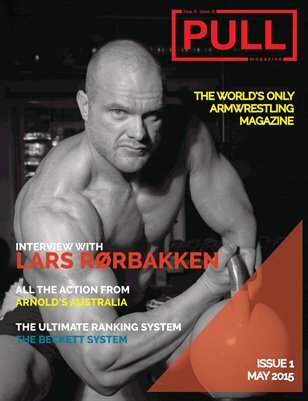 Each magazine has 36 pages jam-packed with training tips, interviews with top armwrestlers, equipment reviews, diet and exercise, reports on past and upcoming armwrestling events, results, rankings, and more.